McGee Company Air Compressors serves clients as an air compressor distributor in Colorado, Wyoming, Utah, and New Mexico. We are known for providing Air Compressor sales, mobile service, compressed air maintenance, as well as design and installation of air compressor systems. Educational training and air system seminars are also offered. Since 1951 McGee Company has offered a full range of compressors. 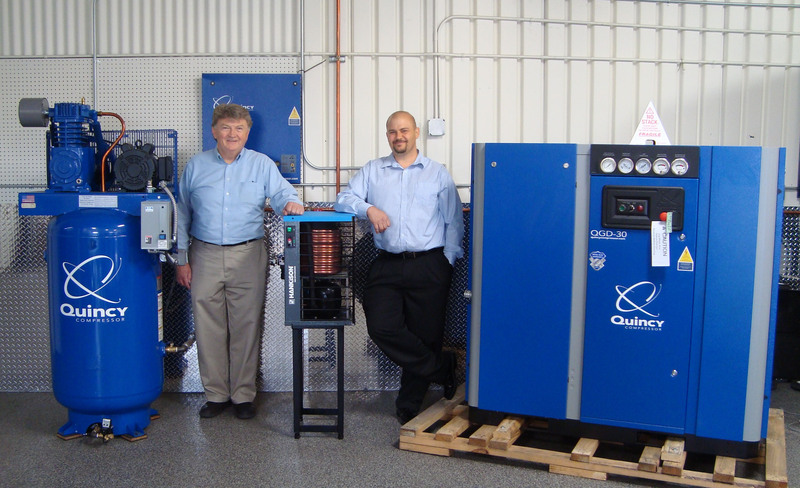 Visit our resource page for video information about Quincy compressors. We utilize the latest compressed air technology and vacuum equipment. We perform energy-efficiency compressed air audits. We design air compressor controls. We Provide Piping design and installation. We have a rental fleet of 6 electric compressors. We provide assistance with power rebates for the purchase of VFD drives, premium motors, and no loss drains.